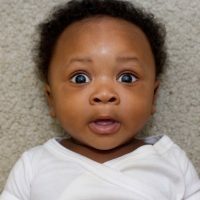 While a lot of people turn to the most popular baby boy or girl names for inspiration, there’s an increasing appetite for unusual or unique baby names. And a thread on parenting website Netmums dedicated to ‘unusual names you’ve heard at baby group’ is now garnering some press attention. Originally started to offer expectant parents name inspiration, it’s now become highjacked by people sharing the absolute weirdest names they’ve heard, which has got us all fascinated. Or, for a more traditional list of names set to be big this year, check out our girl and boy names set to explode in popularity in 2019. Have you thought about Hera for a girl name?